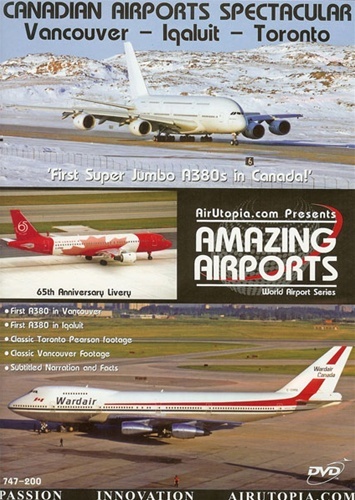 AirUtopia brings you exclusive coverage of the first Super Jumbo A380 arrival to a major North American airport - Vancouver, Canada. Then it's off to Iqaluit, Nunavut to observe A380 cold weather testing and to enjoy some amazing Arctic aviation action! We also take a historic look back with classic aviation footage filmed in Toronto and Vancouver during the 1980s and 1990s! A great mix of Canadian aviation history, past and present! Classic 1980s and 1990s Toronto and Vancouver footage! 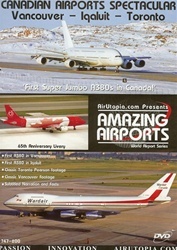 Includes: Wardair/ Worldways/ Canadian Airlines/ Classic Air Canada!